Entrelac knitting creates a beautiful basket-weave pattern of knitted stitches and can be created flat or in the round. Online 'how to' entrelac youtube videos and online courses are available for your convenience. But you don't have to be an expert knitter, because simple knit and purl stitches, k2tog and p2tog, and picking up stitches are all you need to know. Choose a yarn like Noro Silk Garden, which is variegated and has long color repeats for a quilted look of many colors and stranded knitting. You can also use solid colors to obtain the basket-weave fabric with the free scarf pattern below. 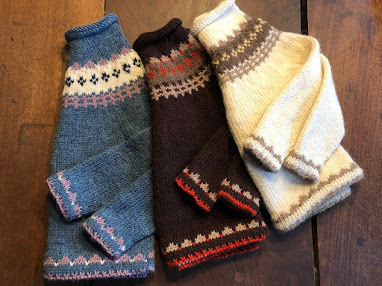 Freckles and Purls has provided a lovely free pattern for knitting an entrelac scarf, which has become an icon and has its own discussion group on Ravelry. You can find books and videos online for learning how to do entrelac knitting. 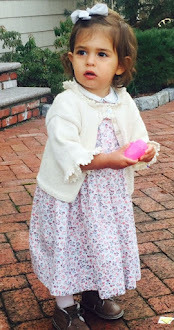 Very Pink Knits has posted this one on YouTube. 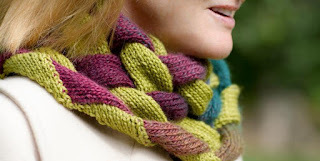 You will find a wealth of info about entrelac knitting here. Video links, free patterns, and basic tutorials for entrelac knitting. Freckles and Purls' free entrelac scarf pattern, download it now.